Following the success of last year’s course Rachel Gundry will be leading another course in stone carving. Regular fortnightly sessions held on a Tuesday 10am – 2pm. They are led by mixed media artist Leigh Cripps and are for small groups. They are suitable for beginners, improvers or anyone who wishes to learn how to draw and paint. Price £22, bring your own materials. Please contact Leigh direct for details and to book a place. Linda Hampson will be leading these three hour sessions on coloured pencil drawing, suitable for complete beginners or those who have used this medium before. Price £15, provide your own materials, a list will be provided when you book. Please contact Mary at Stable Arts for details and to book a place. Continuing the garden theme, Mary Kembery will lead this workshop for you to create a green man or woman wall plaque in frost resistant clay for your garden. Price £65, materials and firing included. With tutor Helen Layfield, using the beautiful gardens at Nynehead Court as your starting point you will explore the traditional techniques of Kantha, suijani and Shaskiko stitching to create a new mindful way of working with fabric and threads. Slow down, unwind, relax and hand stitch. 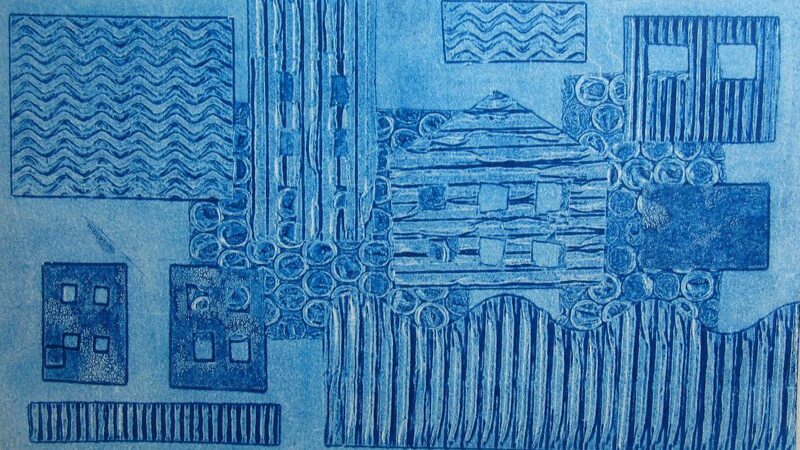 Share Louise Waugh’s enthusiasm for printmaking and join her Linocut course, using two or three colour blocks. This course is led by Kate Doig from Firewolf Glass. The stained glass copper foil technique is used for pieces inside the home i.e. mirrors, lampshades (Tiffany) and sun catchers. This course is lead by artist book maker Nina Gronw-Lewis, who will show you three different techniques on how to make books. Using the beautiful grounds of Nynehead Court for inspiration, Caroline Macmillan-Davey will introduce you to oil painting. The course is suitable for complete beginners or for those who want some further tuition in this medium. Price £55, provide your own materials. Stable Arts welcomes back Linda Green to run another mosaics workshop. You will have the opportunity to learn the techniques and materials used for interior or exterior mosaics….. it will be your choice! All our tutors are professional artists and craftspeople with experience of running workshops and courses. Stable Arts reserve the right to postpone or cancel courses at short notice. We welcome inquiries for private and group bookings , and can accommodate up to a maximum of 10 people depending upon the workshop/course chosen. Further details on request.